Do We Need a New Civil Rights Movement for Religion? As we celebrate Dr. Martin Luther King’s birthday this week, it is relevant to ask: Has religion taken the place of race in American society? What I mean by this is whether the taboos and other aspects associated with race in the 1960s and earlier have started to be associated with religion. While Dr. King and his contemporaries, most notably Malcolm X framed the civil rights discourse and used racial equality as a tool to achieve rights for the dispossessed, their discourse was infused with religious tone. While there has been a civil rights movement to include people of all races, there hasn’t been one for religious inclusion in the U.S. As several civil rights activists have pointed out, do we need a ‘new civil rights movement’ for this purpose? 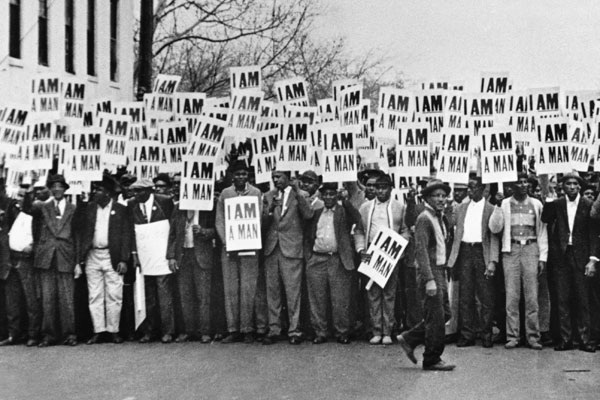 The simmering discontent that existed for decades before the civil rights movement burst into the scene and culminated in The Civil Rights Act of 1964, that ended the ‘Jim Crow Laws,’ and set in place new laws that made it illegal to discriminate on the basis of race, religion or national origin. Two key figures who shaped much of the discourse around these issues in the 1960s were Dr. Martin Luther King and Malcom X. 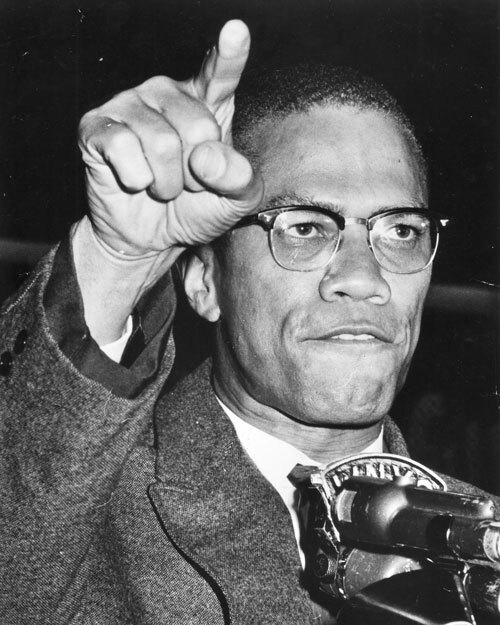 While Malcolm X’s legacy is seen largely as one of segregationist, this is a misinformed reading, as later on in his career, he moved strongly towards a civil rights approach and this ultimately led to his expulsion from the Nation of Islam, as I have written about this in my earlier post here. While both these leaders were at odds, with Malcom X calling for stronger segregation (at least in his earlier career) and painting Dr. King and others who sought integration as ‘house niggers,’ a term he used to define those who were bought over by the white man, he changed his views later on to become more inclusive. 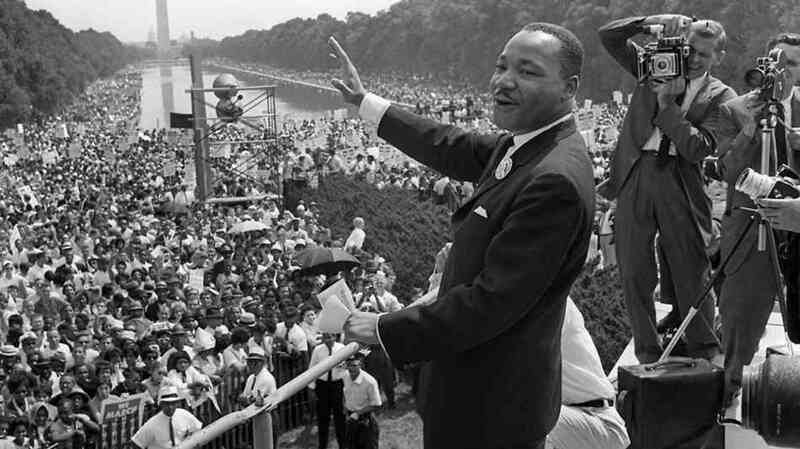 Dr. King on the other hand was an integrationist, and believed in the model following that set forth by Gandhi and Nelson Mandela (who became a nonviolent advocate only later on in his career). The goals of both these leaders were the same – equal rights for all and opportunity, irrespective of race. It is interesting to see how religion played a role in each individual’s life. Gandhi was a devout Hindu, and Dr. King was a Baptist minister while Malcolm X became a follower of Nation of Islam and later on, mainstream Sunni Islam. The landscape of religion in the U.S.
Scholars of Sociology of Religion point out that the religious landscape in the U.S. is changing. And changing drastically. With the demographic shifts in the country, led lower birth rates among whites and other immigration related changes, Hispanic and Asian population is expected to rise and by 2050, the racial profile of the U.S. will look very different from what it is today. This is a fear that has been magnified by right-wing and fear-mongering groups to stoke up anti-immigration and anti-minority feelings both in Europe and the U.S. This is also leading to a change in the number of adherents of the more conservative American forms of Christianity, as this article points out how Evangelical Christianity is giving way to Catholicism. This shift is also having a predictable reaction with the conservative camp clamping down on ‘progressive’ ideas. As this article points out about the recent changes in Arizona, : “The New Civil Rights Movement reported last year, the bill could also be considered the religious version of a “Stand Your Ground” law, allowing anyone’s practice or observance of religion to be an automatic “out.” In other words, it would give Arizona residents and businesses the right to refuse service to anyone for any reason, including because they are LGBT.” While the progressive movement is taking hold in the U.S. there has also been an equal push by the conservatives, led by the G.O.P., to oppose marriage equality, LGBT rights and other progressive agendas. The gradual shift in the religious landscape is noticeable among the ‘new religions’ that have come into the U.S. (at least into the American public consciousness) – The Hindus, Buddhists and Muslims, as analyzed by Robert Wuthnow, Princeton Sociologist of Religion. He points out that these new entrants face a new challenge – that of being unknown in the country – and calls for greater dialogue and interaction between the majority Christians and these ‘new immigrant’ religions. This narrative places the ‘emergence’ of the new religions in a post 1965 context, where looser immigration policies made it possible for greater number of people from Asia and Middle East to enter and live in the U.S.
As Dr. Carl Ernst points out in this introduction to a book on Islamophobia in the U.S., the various trends in Islamophobia can be seen as part of the ‘othering’ of Muslims, similar to other groups such as Catholics, Jews, Mormons. As opinion polls show, over 50 percent people in the U.S. have a negative view of Islam in 2011, as compared to a lesser number in years preceding 2001. The phenomenon of Islamophobia can be understood in the context of political discourse, he seems to be pointing out, with examples of the Park 51 project and the burning of the Qur’an controversy both becoming salient in 2010, an election year. This is not a surprising fact, as this pattern seems to occur in other democracies as well- India being the most egregious example. Finally, there seems to be the need for a new revolution for greater understanding of religion in the U.S. While there is a trend among certain sections of society to shun religion altogether, this is an impractical and impossible strategy, given how religiously observant Americans are. As Jonathan Benthall, the scholar of religion has pointed out “You may throw religion out the door, but it comes back flying through the window.” Religion is here to stay and we better make peace with it. And as in the case of the civil rights movement and many other movements before it; religion has made a positive contribution to make to society.